LPub3D v2.3.0 offers the ability create object pointers with up to three segments per pointer. Multi-segment pointers can presently be configured from a Callout or Page border with the pointer directed towards an assembly (CSI). 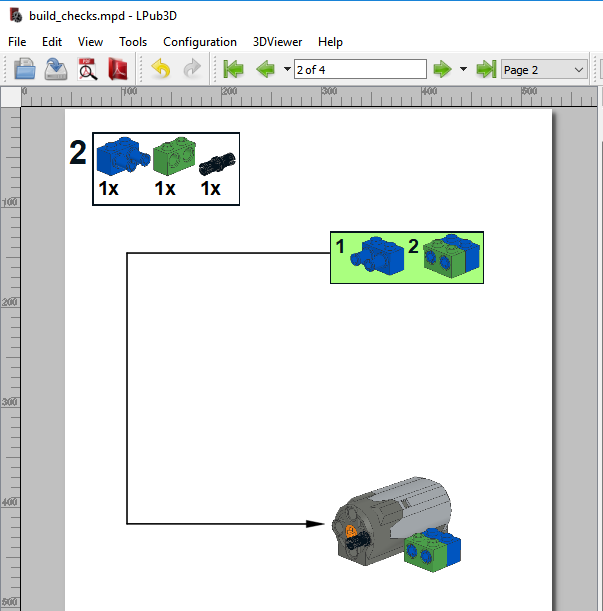 Configuring multi-segment pointers for a Step Divider and directing a pointer to an inserted image should be available in a near future release. These enhancements will target the next phase of segmentable pointers. 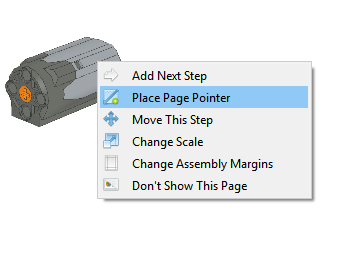 To place a pointer from a page border toward an assembly, use the Step assembly’s context menu (right-click) and select Place Page Pointer. 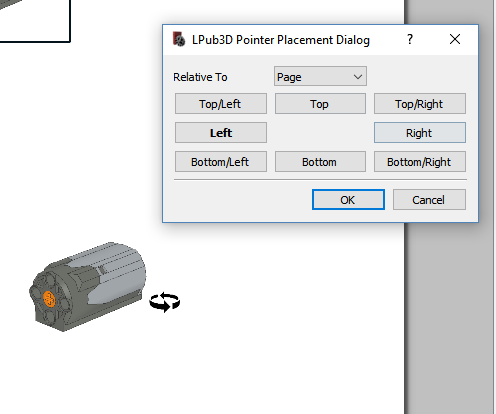 Select the pointer origin placement from the location dialog. Now, you can select the context menu of the pointer to add or remove pointer segments. Note that after adding a third segment, the context menu ‘Add Pointer Segment’ will no longer be displayed. Sometimes a segment will be added but the additional grabber will not be displayed after the page is automatically refreshed; thus giving the impression that pointer’s line is not more than one segment. You can enable the grabbers by simply selecting any segment of the pointer. 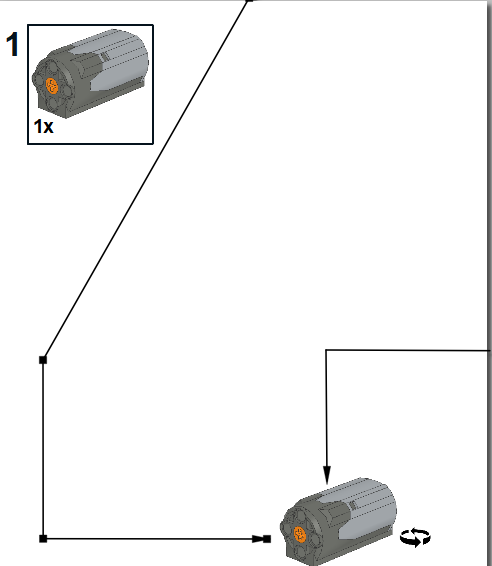 Position the segment joint by clicking on and dragging the grabber (the black square), to your desired location. 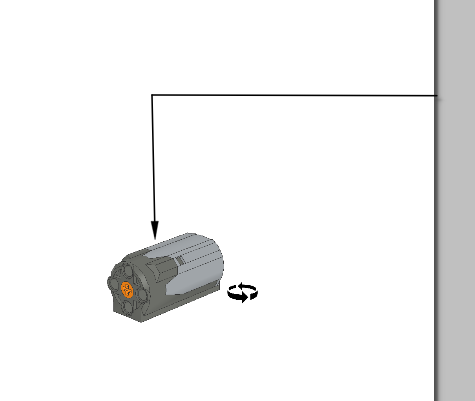 Note that it is not necessary to spend time aligning a segment straight. 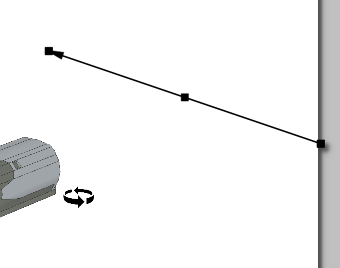 LPub3D will automatically align the segment points along the closest axes . So if the segment’s y1 and y2 axes are closer than the x1 and x2 axes, LPub3D will perfectly align the segment vertically (along the y axes) of the point under the cursor. To edit segments on a Callout pointer, use the Callout context menu and select the desired edit option.